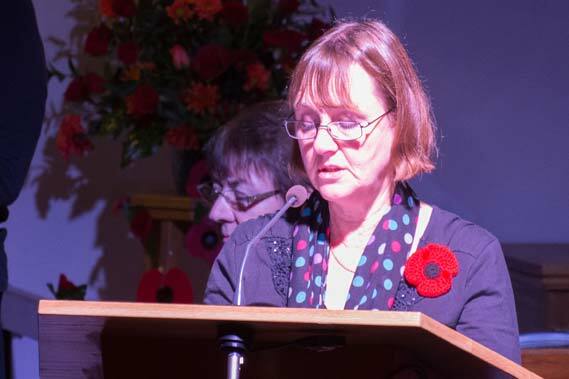 The Festival of Remembrance took place at Coleford Baptist Church on 11th November and raised over £600 for the Royal British Legion. 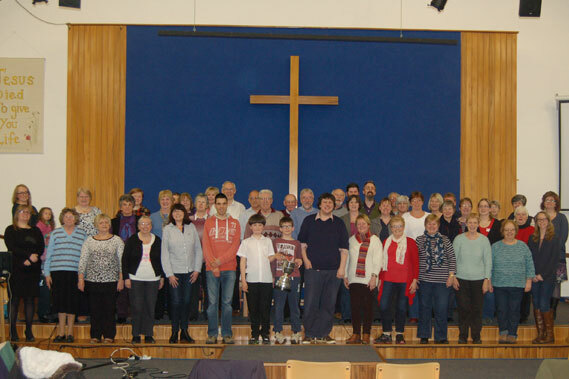 The choir were delighted to take part alongside the Forest of Dean Area Wind Band both groups conducted by Sam Davies. The first half of the concert featured the band playing pieces which included exerts from the Hunger Games and Game of Thrones. 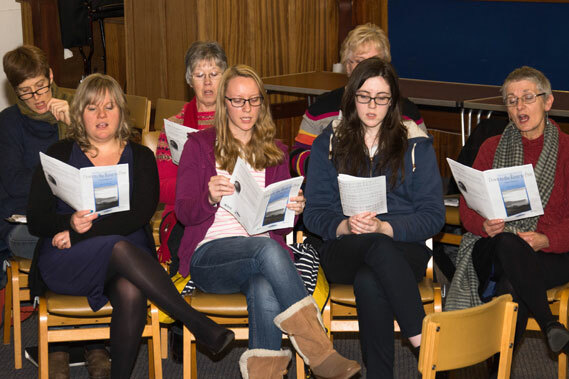 The choir sung a selection of spiritual, popular and love songs. 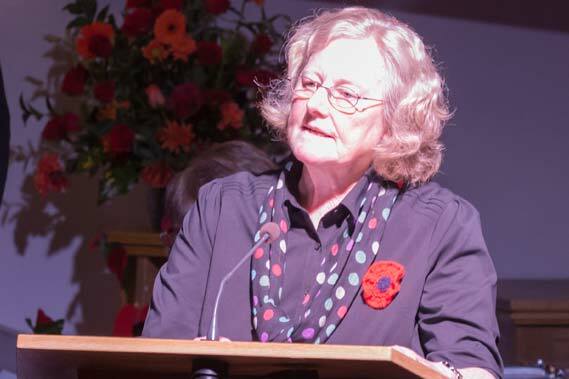 The second half was more reflective and included some poignant readings including Vision written by Irene Cullis who was born in 1914 and is grandmother of Sam Davies. The choir was accompanied by Howard Gibbard on piano and Stan Harris on the drums. 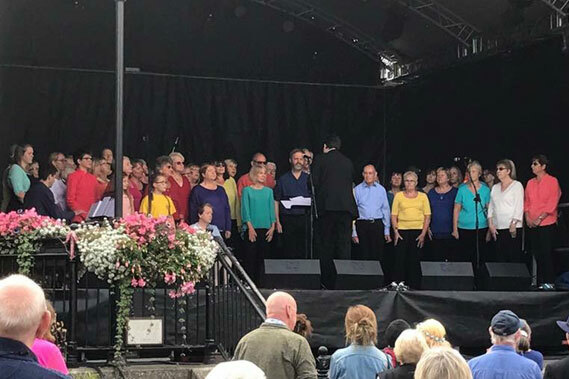 Coleford community choir have had a busy summer, taking part in a variety of events as well as supporting local charities The summer season started in May with singing to many of the patients at the Dilke hospital as part of Dementia Awareness week. The patients were also invited to join in with some community songs. Singing is very good for brain, it can have a calming therapeutic effect as well as stirring some long forgotten memories. 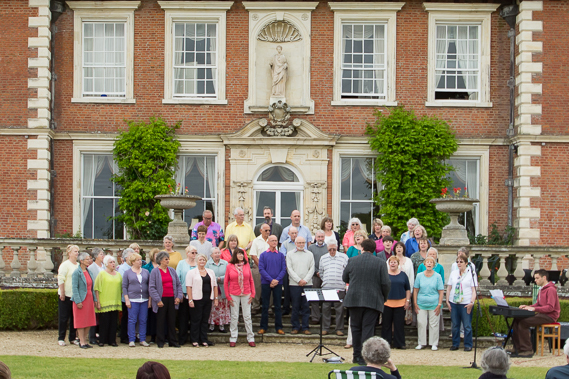 On a damp Sunday afternoon later in May the choir were delighted to support Great Oaks Hospice at their fund raising event at Highnam Court helping to raise much needed funds for our local hospice During the summer the choir have sung at Bishopwood and Christchurch Songs of Praise. 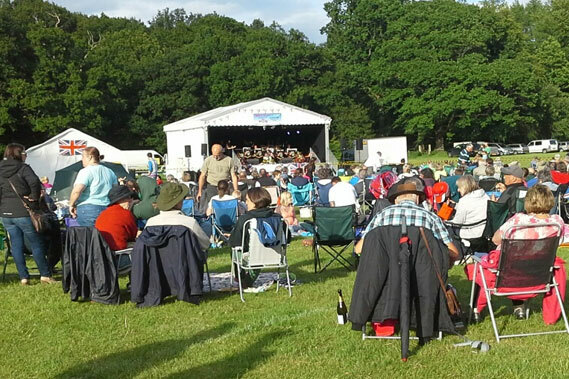 In July we were delighted to take part in a concert at Abenhall church with the Forest of Dean Area Wind Band who have a large number of very young talented musicians in the band. The big event of June was the wedding of the choir's musical director Sam Davis to Jasmine. It was a very warm afternoon with the bride being a little late as tradition dictates. It was a lovely service with the choir singing some of Sam and Jasmine's favourite songs whilst they signed the register. July saw the choir opening day two of the Coleford Music festival, a favourite highlight of the choir year. 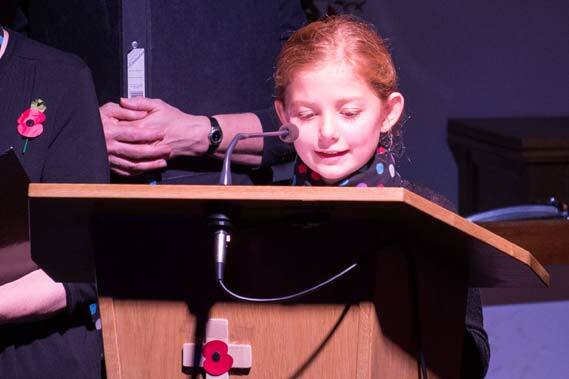 We sung newly learnt songs which proved very popular with the audience. 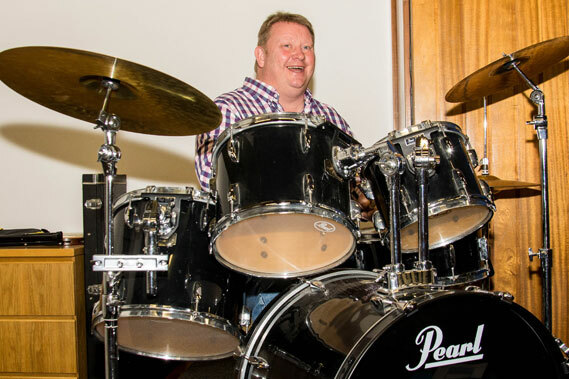 It was great to be part of the wider musical community. 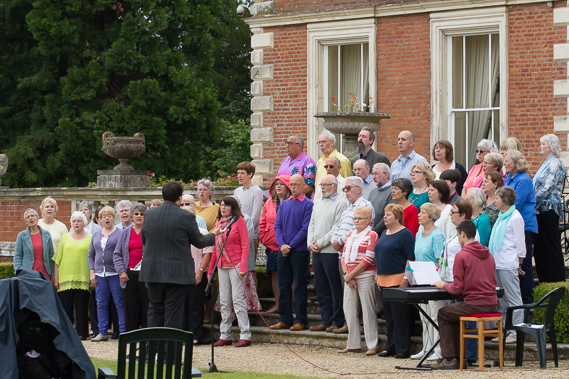 August is usually time off for the choir, a chance to rest the vocal chords! 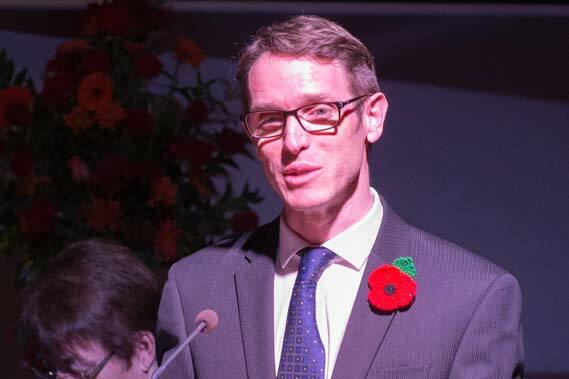 However this summer was a little different and the Choir agreed to take part in the National Garden Scheme inaugural Gardens and Health week which sought to demonstrate the positive benefits of gardens on health and well being. The Choir entertained visitors to South Lodge Garden, Clearwell from the Alzheimer's group, Crossroads Care and Great Oaks Hospice. Choir practice resumes on Wednesday 6th September at 7 pm in Coleford Baptist Church, so if you enjoy singing and having fun come and join us. You will be very welcome. The choir are back after their Christmas break with some new members. It's lovely to welcome new people. 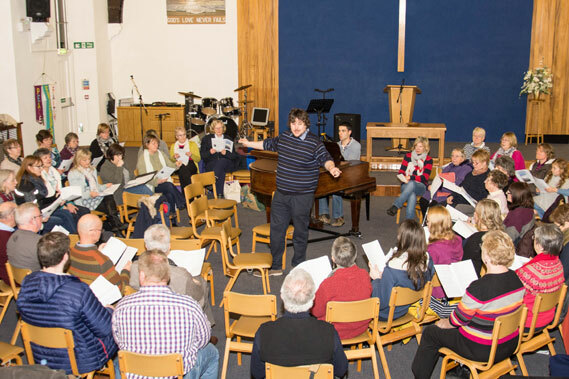 We are now rehearsing for the Hereford Arts Festival which takes place in March. The choir have performed well in this in the past coming first in 2014 and 2015 (we didn't enter last year). So it's two new pieces for us all to learn which is quite a challenge but Sam knows we can do it! If you would like to join us just come along to Coleford Baptist Church, Newland Street on Wednesday evenings at 7pm for a couple of hours. Alternatively you can contact us via the website or telephone.